Lifetimes. With an s. That’s how long our foil stamping machines last. They produce high-quality, well-built printed products that your customers (and their customers) can count on. Our machines are multi-generational investments. We know you need a product that you can put on your floor and set in motion without a lot of fuss or extensive user training. You want to minimize maintenance and repair. And you want to guard against customer quality complaints, the likes of which you might have encountered when using substandard foil stampers or die-cutters in the past. We understand those needs, and we’ve hand-crafted machines that meet each one of them. Every Kluge foil stamping machine is designed to solve a problem for your business, meaning they are efficient, resilient, modern, and lend themselves to a wide variety of printed products. 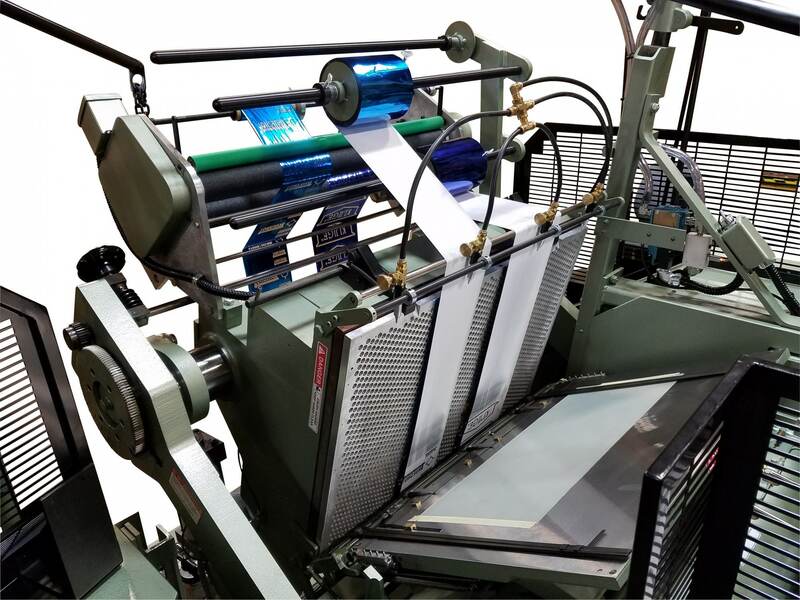 The ApexFoil is our preeminent foil stamping machine, capable of creating best-of-class printed materials, from greeting cards and business cards to stationary, folding cartons, labels, book covers, and beyond. The ApexFoil’s patented Compass™ control system features a touchscreen interface that makes it our most user-friendly foil stamping machine yet. This intuitive, no-fuss digital panel substantially reduces (and in many cases totally eliminates) the make-ready time for your projects. Learn more about the ApexFoil foil stamping machine. We categorize the EHG Series Half-Sheet Press as one of our larger machines because it can accommodate an image area of up 22” x 30” — at speeds of 1700 iph. But it has a remarkably small footprint for a machine of its size, making it an ideal choice for those whose floor space is limited. 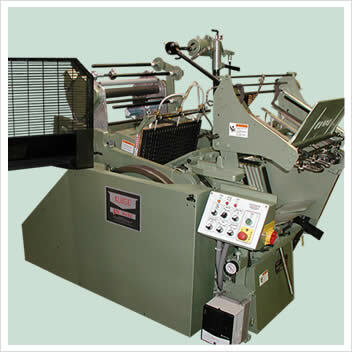 The EHG is available with foil stamping, die-cutting, and embossing capabilities. Alternatively, it can be configured as a stand-alone die-cutter. Learn more about the EHG Series. Rugged, dependable, and easy to operate, it gets the job done — excellently, consistently, and cost-effectively. But this isn’t the same machine it was in the 20th century. We’ve made improvements commensurate with technology. Today’s EHD offers speeds up to 3,300 impressions per hour and comes with delayed delivery, allowing it to accommodate sheets up to 17″x 24.75″ (431mm x 628mm) in size, with up to 40 square inches of die area. Learn more about the EHD Series. This next-generation iteration of the EHD (above) offers all the same features within a stronger main frame, plus stronger platen bolts and heavier side arms for greater impression strength. This press nearly triples the EHD’s preload pressure. Learn more about the EHF Series. 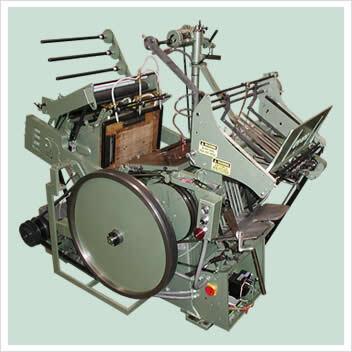 The quality of a printed product is especially important with foil stamping, die-cutting, and embossing machines. Why? Because the whole reason your customers want foil-stamped, die-cut, or embossed products in the first place is the appearance of quality. So that end goal is something we simply can’t sacrifice. Even as we work to make our machines easy to use and cost-effective, the one value we never compromise is quality — the quality of the machine itself and the quality of the product it produces. Indeed, quality is the reason we’ve been the leading brand in our industry since the early 1900s. Brandtjen & Kluge, LLC began in 1907 and pioneered two game-changing machines (the Model M and Model N) in 1931. We are proud to have stayed at the forefront ever since. Today, thousands of Kluge machines are actively in use at commercial printing companies all around the world. Each of those machines has been hand-built by an expert in printing press machinery. Your machine will be too. That’s the only way we do things at Kluge. We recognize that our machines are an investment for your company, so they ought to work like one — and last for lifetimes. That’s Kluge quality. At Kluge, we understand that a foil stamping machine’s value is determined by how much it boosts your business, and each of our systems is designed and assembled with that metric in mind. Take your printing or finishing business to the next level. Boost your bottom line with a Kluge foil stamping, die cutting, and embossing machine. Get a quote for installing the ApexFoil, EHD Series, or any of our products: simply call 866-501-7741 or contact us online.